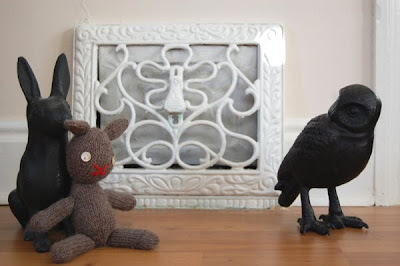 Irontail and Snugglebunny meet their new neighbour... ...Bubo. I think they'll get along like a house on fire. Meanwhile, out in the back garden... ...we have baby peppers. Delicious! Welcome Bubo !!! Peppers, I should try growing some. June 7, 2010 at 10:57 a.m. Bubo!! I love him already! 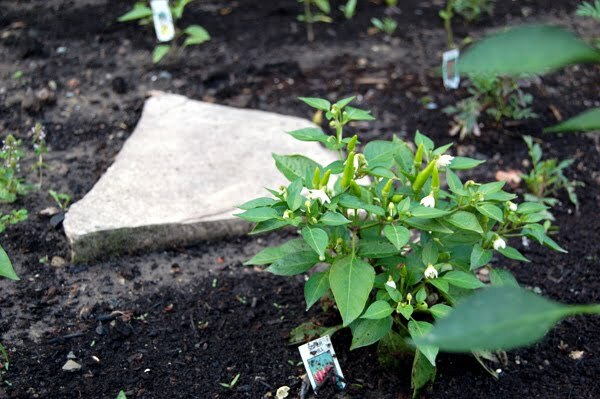 We too grow peppers in your garden... but they aren't as big as yours! June 7, 2010 at 5:37 p.m.
Yay Bubo! What a great knit! Love it! June 12, 2010 at 6:58 p.m.